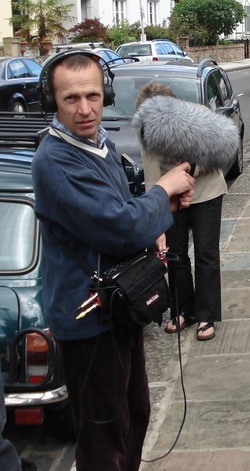 I am Jerry Peal - sound recording engineer, musician and composer. I live in Bucks, about an hour from London. I keep my OB van here and clients come here to edit with me, in my garden studio. 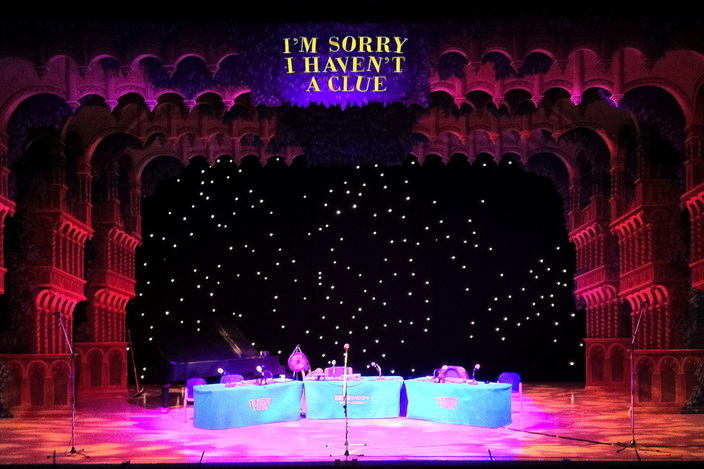 Most of my work is for the BBC & independent production companies recording and editing radio comedy shows. I also regularly record jazz concerts for Radio 3's "Jazz Now" show. I compose music for Chappell and Bruton Music libraries now "Universal Publishing Production Music" and commissions for the BBC. 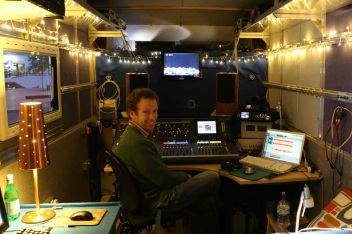 The Mobile and Home studios are equipped for most recording and post applications. I have an Allen & Heath iLive mixing system in the van - Pro Tools 12 for audio editing, Logic X for music composition and Final Cut Pro for video editing. There’s also a Nagra VI for smaller location recordings. In the summer of 1990 I went on a tour of central and eastern Europe with my band, 229. We then formed a label, Twilight Fisheries, and produced an album "The Edge of the West". After the tour, worked on albums with Steve Hackett (guitarist ex Genesis) and Bob Holroyd. While working at Studio AVP I met Peter Marsh who got me involved with Pace Mobile and subsequently BBC Radio. The majority of my work is now with radio comedy and drama. I also compose and arrange theme music for tv and radio shows. I have composed lots of library music and my albums continue to do well, getting worlwide use especially in Japan and USA. See the “Music” page. I have been recording ISIHAC for 15 years. This show was done on the Christmas Panto set at The Hawth, Crawley.